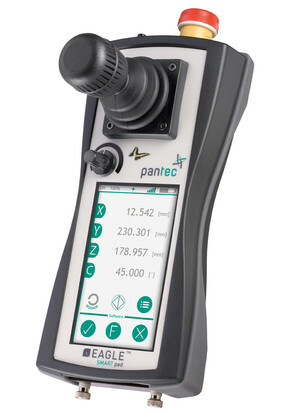 Our SmartPad™ operating unit provides multifunctional and comprehensive CMM operation with user friendly wireless connection. Thanks to the open programmability, your host software provider can program the user interface, functions and interactions with the CMM software to meet your individual needs. Ask your preferred CMM software company if they have developed some dedicated apps for the SmartPad™ already. The capacitive 4.3" color LCD display shows you all needed information at a glance, and features single touch technology ensuring smooth and easy operation. In February 2015 a charging cradle for perfect placement will be available.